SALE! 20%-70% OFF. 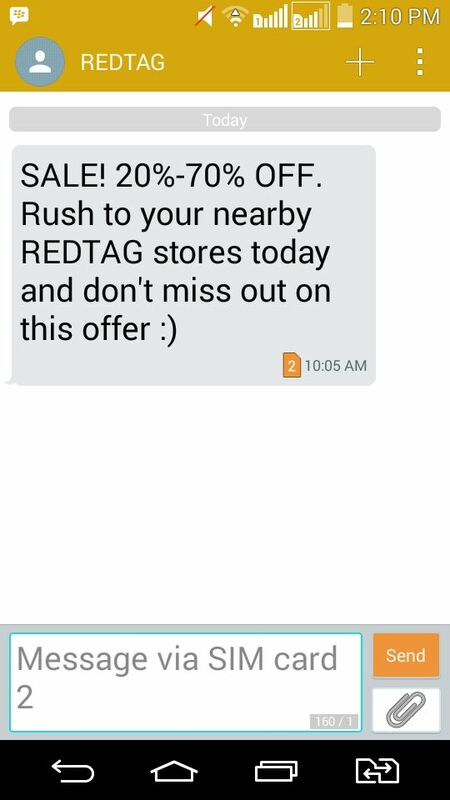 Rush to your nearby REDTAG stores today and don-t miss out on this offer. The sale is available on every store in Khobar. Rashid mall, corniche, othaim mall, and amwaj mall are also included.